The first China International Import Expo has opened with the aim of supporting trade liberalisation and economic globalisation and promoting economic and trade exchanges around the world. 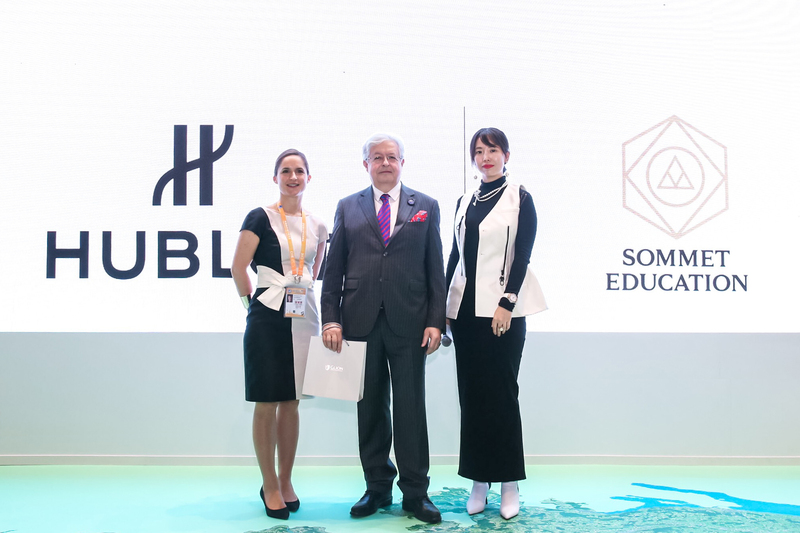 During the Expo, famous Swiss watch-making brand Hublot announced its cooperation with Sommet Education, a leading Swiss hospitality education group. Based on the agreement, the two sides jointly promote the cultivation of diverse talents for premium trade, preparing leaders for the future luxury business. As a Swiss watchmaker with strong personality and capability of innovation, Hublot has been well-known for its combination of rubber and precious metals. Meanwhile, Hublot has been dedicated to the “Art of Fusion” philosophy. With boundless creativity, unconventional thinking, crafting virtuosity of traditional Swiss watchmaking, Hublot has created multiple marvellous timepieces. The “Art of Fusion” is more than a watch philosophy, it represents a fusion of tradition and innovation as well as a connection between the past and the future. Looking forward to the future, Hublot values young people’s unique imagination and creativity and gives great support to those shapers of the future with the spirit of “sharing”. Switzerland is renowned for its honoured hotel management education, which is designed to cultivate career-ready and reliable professions. 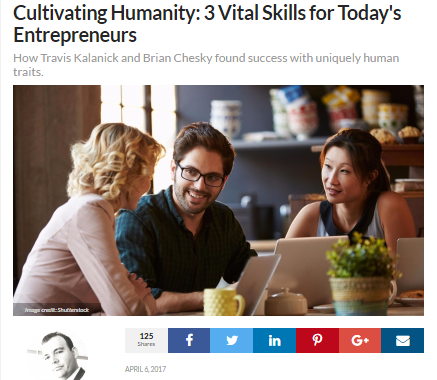 Hospitality management education serves as an incubator for the high-end hotel and luxury goods markets, both of which are experiencing strong growth in China. 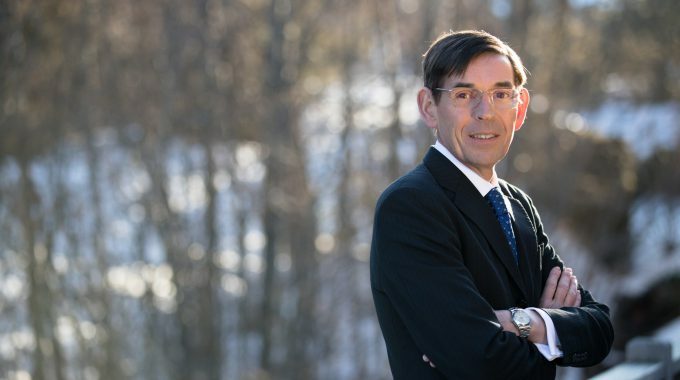 As experiential luxury goods are gaining ground, Hublot is looking forward to conforming to the new consumer behaviour through its cooperation with Sommet Education, whose Glion and Les Roches institutions have been at the forefront of preparing talent for the global hospitality industry. As part of the collaboration and a testament to the growing importance of building sustainable value through education, Sommet Education is launching the Hublot scholarship. This unique scholarship awards qualified Chinese students a partial tuition waiver as well as a guaranteed internship at the Hublot manufacture in Nyon, Switzerland. Switzerland is a country focusing on innovation, which has been the driving force behind Hublot, the first Swiss luxury watchmaker to fuse modern and traditional expertise. Hublot has witnessed the epoch-making development of the cultural exchange as well as economic and trade cooperation between China and Switzerland. Over the past several years, Hublot leveraged its achievement in the global watchmaking and business industries to launch the “Classic Fusion Sino-Swiss FTA Limited Edition” and “65th Anniversary Swiss-China” limited edition as the exclusive official watch partner of the 65th anniversary ceremony of the establishment of diplomatic relations between China and Switzerland. The first China International Import Expo creates a unique opportunity for countries to reinforce and deepen multilateral trade cooperation. At the Expo, the Swiss National Pavilion is showcasing the most representative elements related to innovation and lifestyles. A highlight of the Swiss National Pavilion is the “LiveMap,” a large, walkable map of Switzerland. Leveraging cutting-edge 3D technology, the “LiveMap” presents geographic icons, cultural symbols and tourism destinations. Walking across the “LiveMap,” you can enjoy a one-of-a-kind touring experience of Switzerland. You can also locate Hublot’s watchmaking factory in Nyon, and the Glion and Les Roches campuses in Montreux and Crans-Montana, respectively.